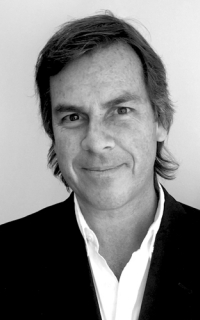 Juan Carlos Lynch has nearly 30 years of experience as a consultant to companies, governments, and institutions in the areas of communications strategy, public affairs, external relations, and crisis management. He has worked with companies including AstraZeneca, BankBoston, Bank of America, British American Tobacco, British Gas, Camargo Correa, Chrysler Corporation, Duke Energy, HP, Hyatt, JP Morgan, Lufthansa, Novartis, Pernod Ricard, Pfizer, and PricewaterhouseCoopers. Juan Carlos joined Newlink after leading the offices of Hill & Knowlton and Ruder-Finn in Buenos Aires and coordinating Porter Novelli’s operations in Latin America. Before becoming managing director of Newlink Argentina, he headed up that office’s communications area, which currently boasts a solid team of professionals and a portfolio of clients that include Alpargatas, Chevron, Citric, JP Morgan, Loma Negra, Lufthansa, Scania, and Sky Airline, as well as different government agencies.